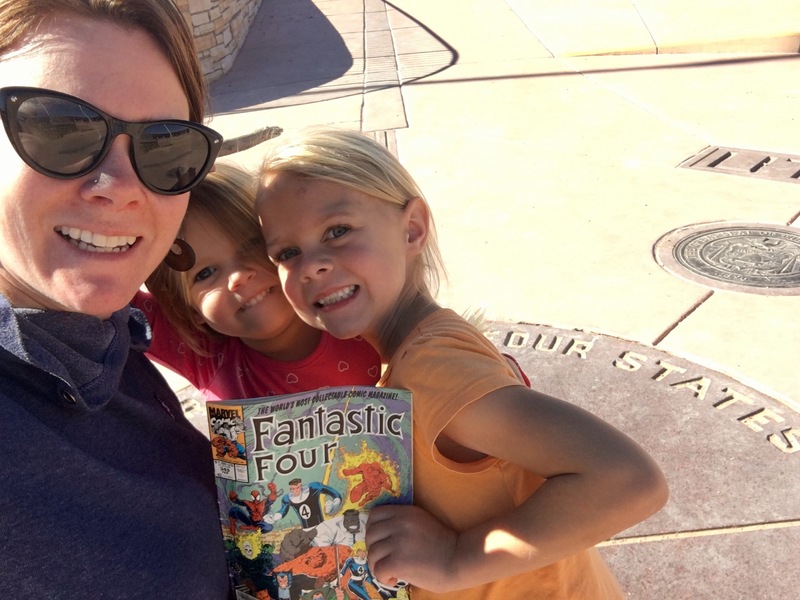 It wasn’t intentional, but I thought Sunny’s comic book choice for the trip was incredibly appropriate. 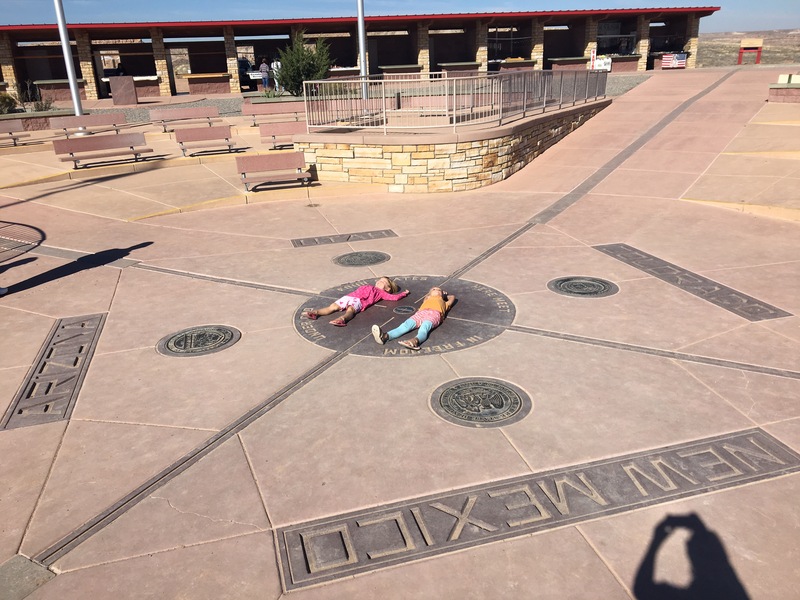 We spent about an hour at Four Corners, delighting ourselves with being in multiple states at the same time, or all different states from each other, had a picnic lunch, and headed back home. Even when you’re driving for hours through what seems like “nothing”, there really is still so much to absorb out the window. 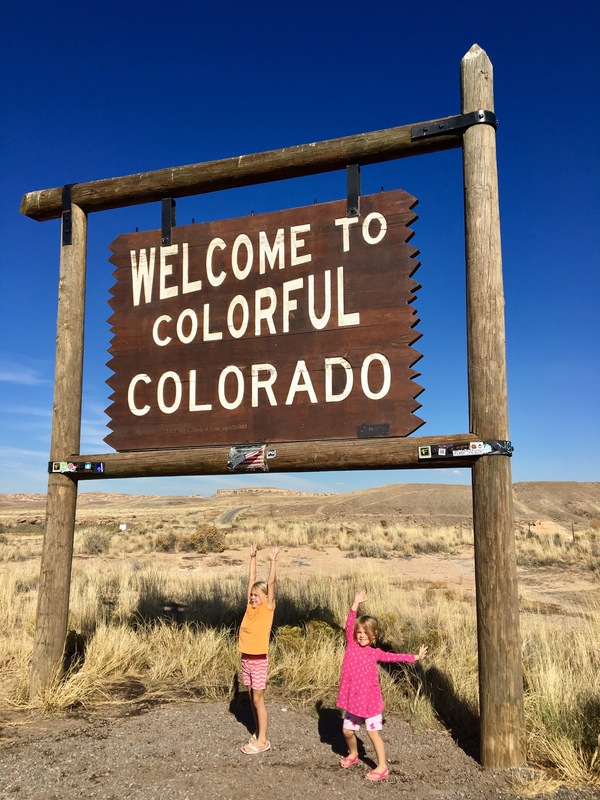 It was the girls’ first time to cross over into CO and NM that day. We love to celebrate each new state we reach. This is the parking lot of the elementary school in Montezuma Creek, UT. 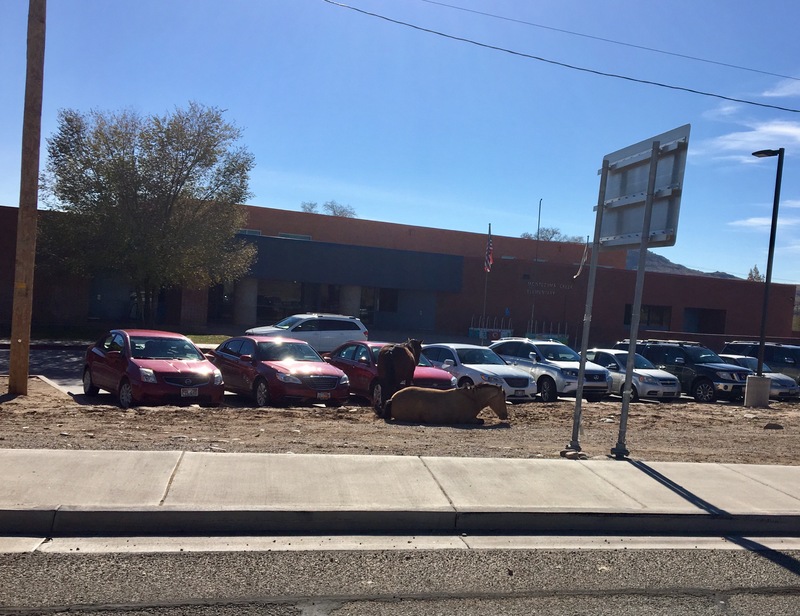 I’m not sure if someone rode the horses to school and parked them, or if the horses were there to pick up their kids, or what…but it was funny to me either way. Also, maybe don’t drink the water in a town called Montezuma Creek?